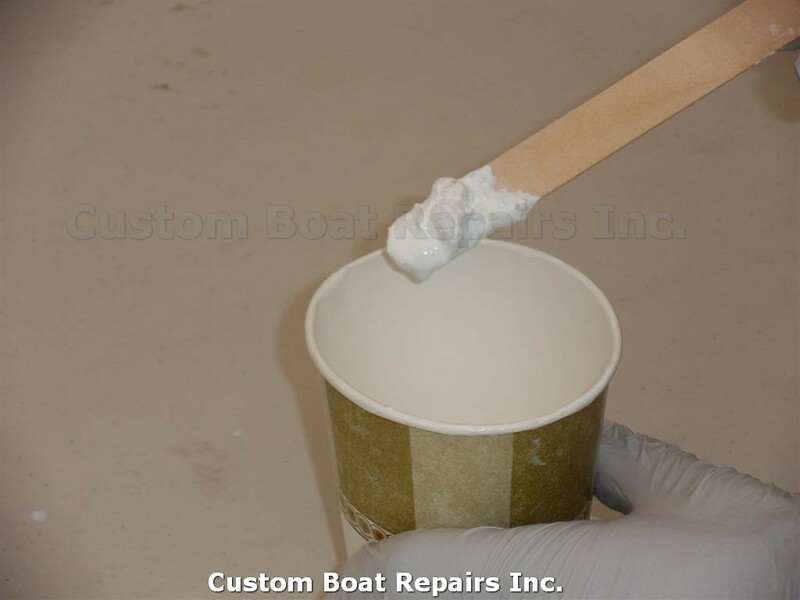 In this tutorial, I'll show you how to make a Gel Coat Paste to fill in gouges on your boat. 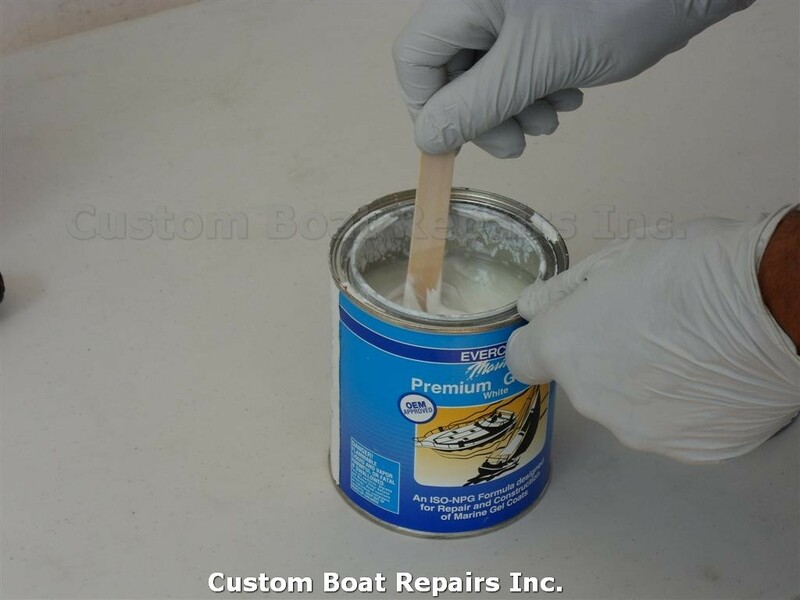 Many customers get in touch with me about the gel coat they purchase from the factory. They tell me that when they apply it, it runs out of the gouge, all over the place and is highly visible. 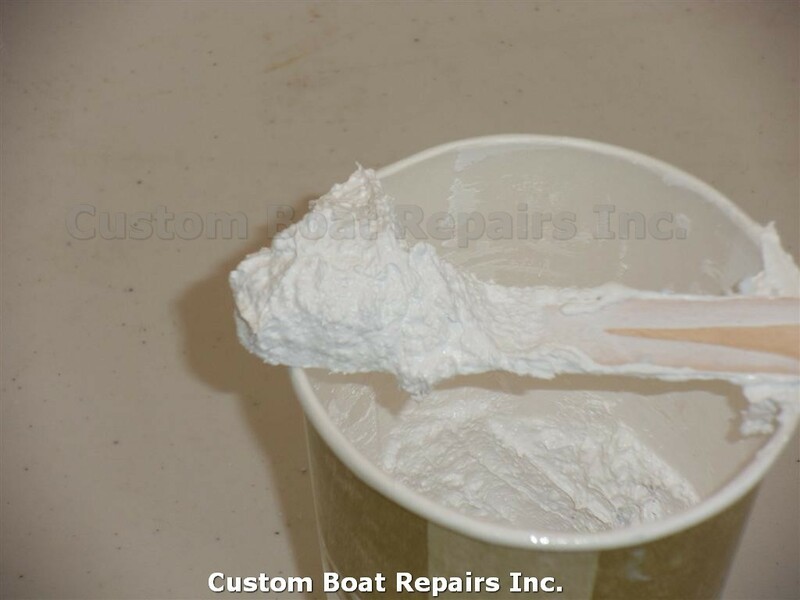 That's because these days, some aftermarket companies make a solid white gel coat paste, but most of the time, it won't match your boat color. 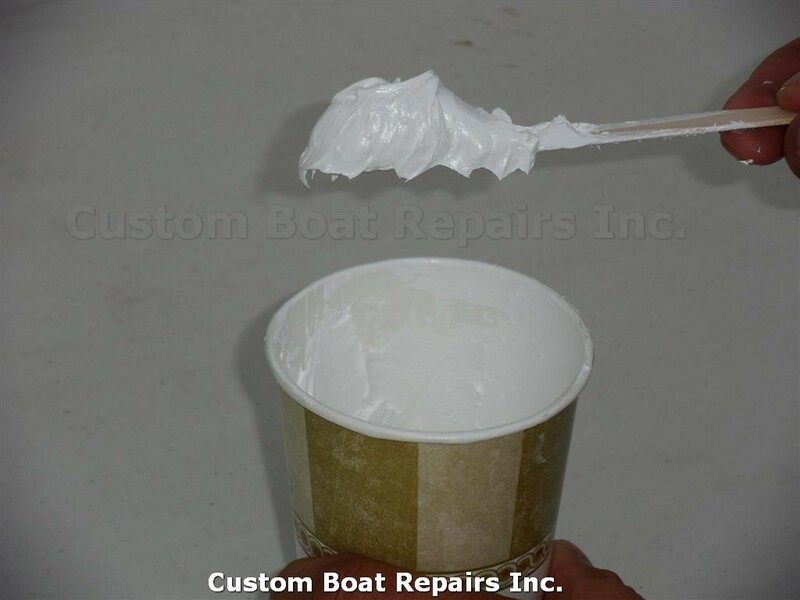 If your boat manufacture sells you a color to match your boat, it's most likely in liquid form, not paste. 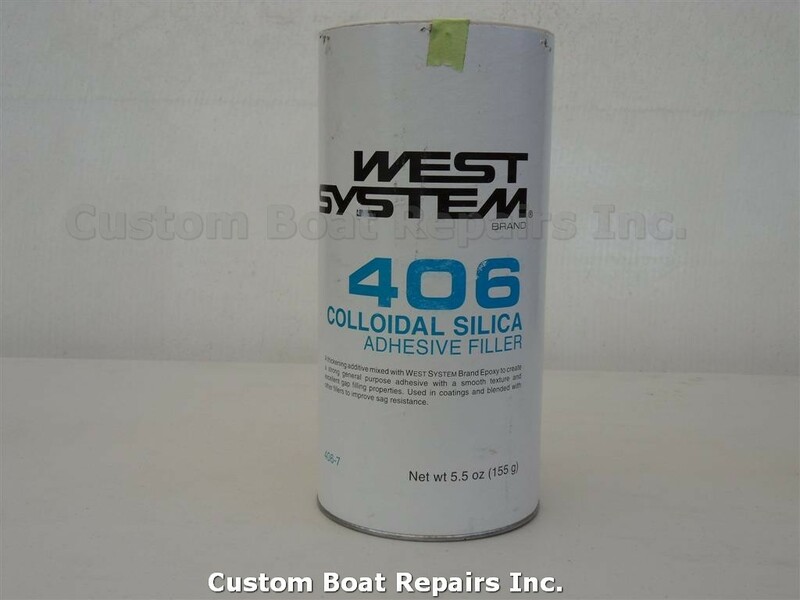 To get started, you'll need West System 406. 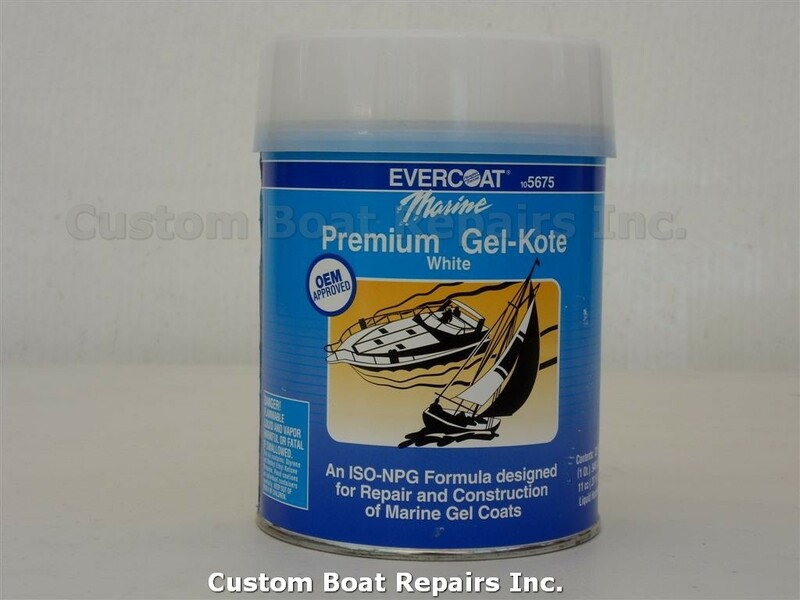 Check it out online, or at your local marine store. 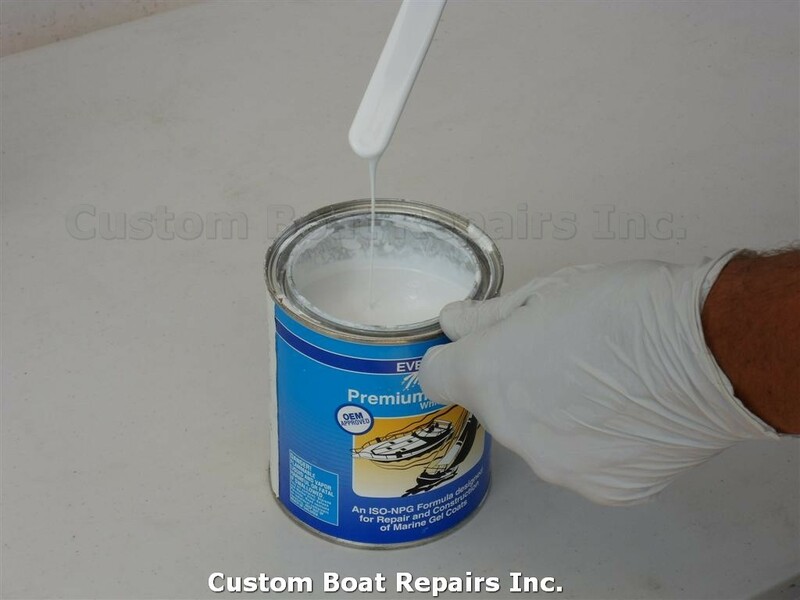 This is pure white gel coat, in liquid form. If you want the paste version, it should say "Paste" on the can. These are the supplies you'll need to work safely. 1) Always be sure to wear rubber gloves. The gel coat has been known to irritate some people's skin. 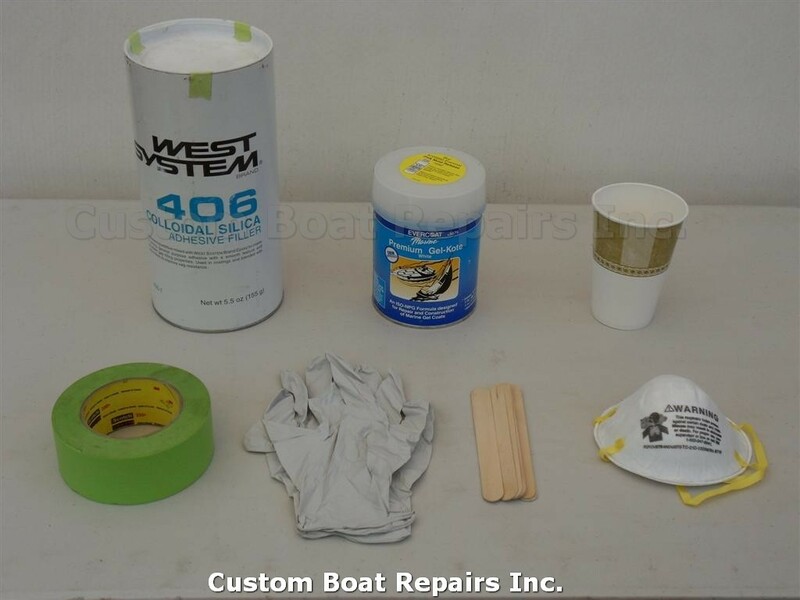 2) West System 406 -- Put the mask on before opening the container -- VERY IMPORTANT! The material is so lightweight, that even the slightest breeze will blow it all over the place, and if you inhale it, based on personal experience, you will choke to death (well, almost). This is what gel coat looks like in the can. 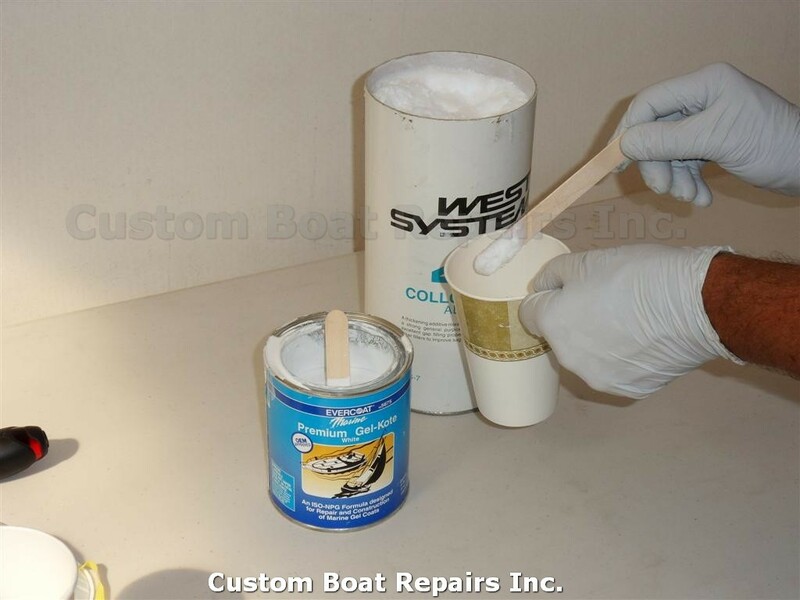 The resin has floated to the top, so it needs to be mixed very well before use. I have found that wooden tongue depressors work best, and are very inexpensive. 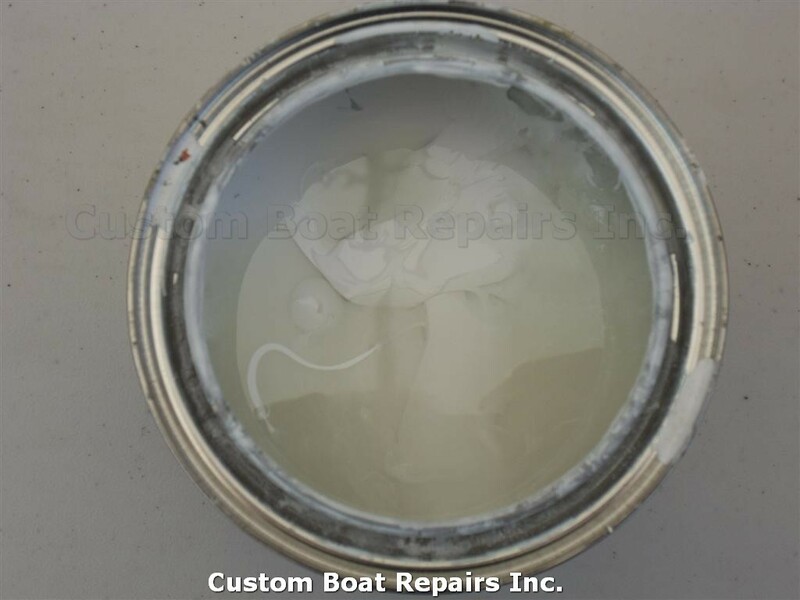 Notice how the gel coat looks very liquified, and is uniform in color and consistency. 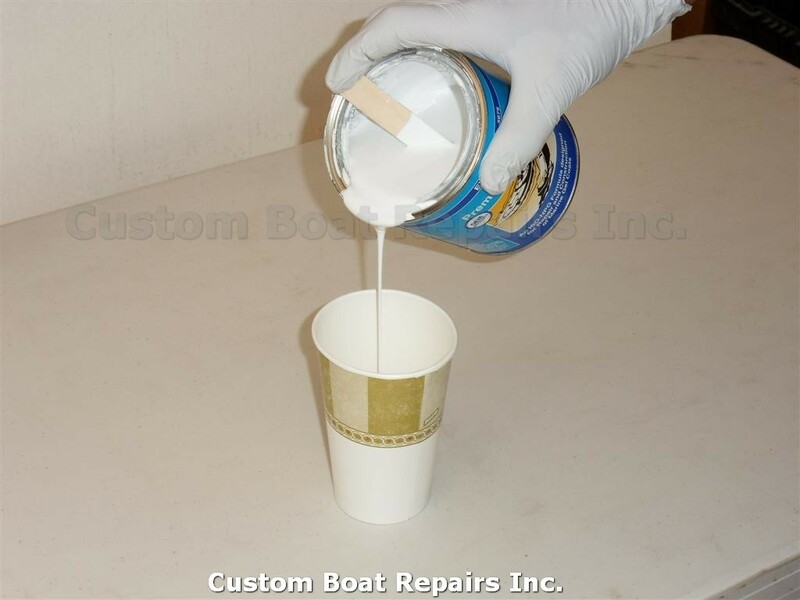 Here, I'm pouring it into a paper cup to mix with West System 406. This is what the West System 406 looks like. Do not use this product outdoors in a breezy area, because you'll never get it into the cup. If you are outside, wear your mask, and work within a small, enclosed area. Drop it carefully into the container. Mix slowly, until it begins incorporating into the gel coat. Once it does, you can speed up the mixing process. 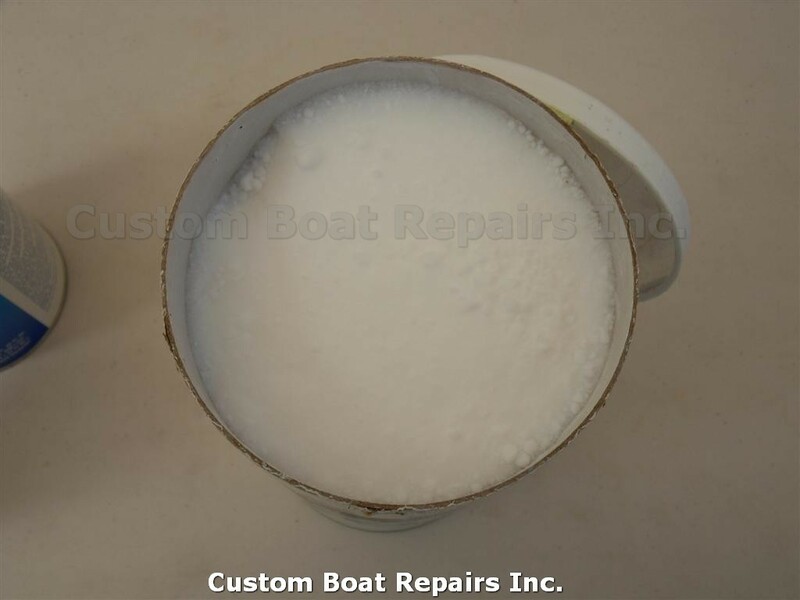 Here, you can see that the mixture needs more West System 406. Note that you ultimately want the mixture to hold peaks while mixing. In this photo, it's still loose. This is the consistency you're looking for, but it's not done yet. Notice all of the small lumps. You'll have to keep stirring to smooth them out. 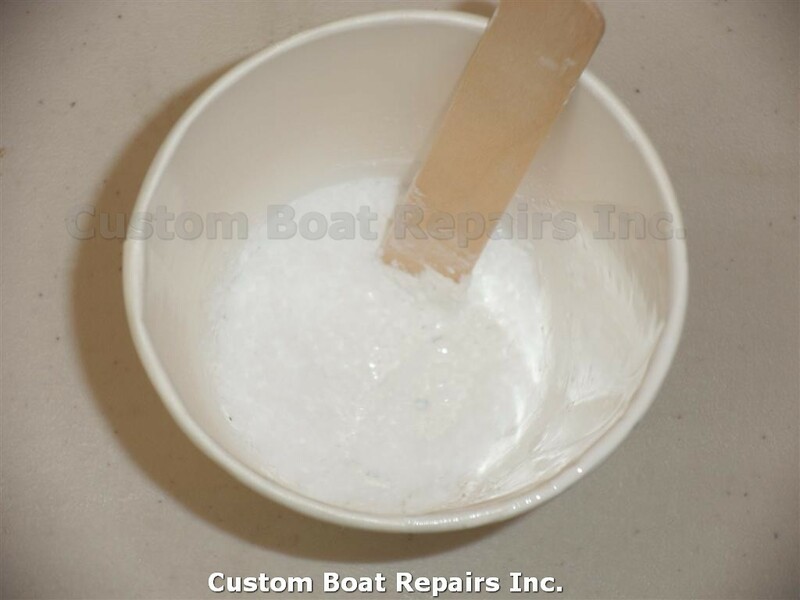 Also, if you let the mixture sit for a few minutes, the resin will break down the lumps. In this photo, I'm letting the mixture rest for awhile, covered, so it can work its magic. This is the end result you want. Notice how smooth and creamy the mixture is, holding its peaks, like it should. This mixture is now ready to use. 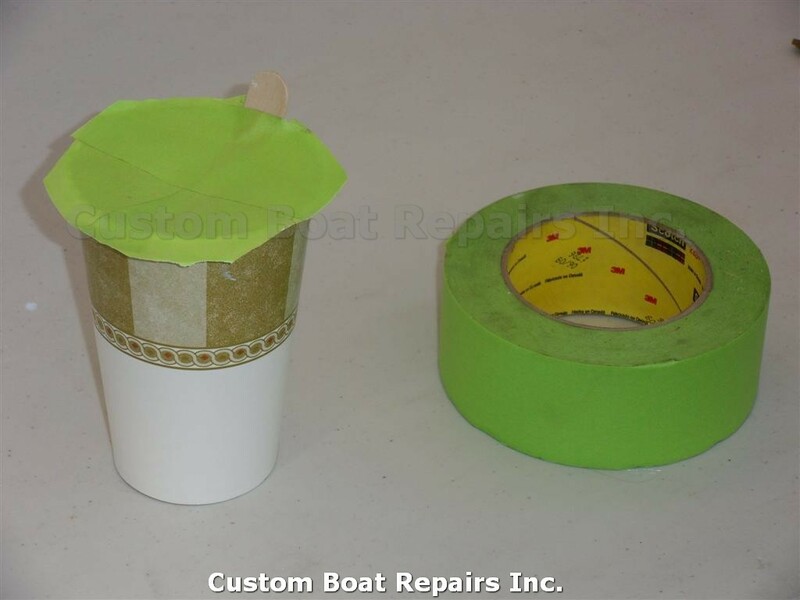 Just make sure you cover it with tape, or store it in an air-tight container. Otherwise, it will evaporate and become too thick to use again. 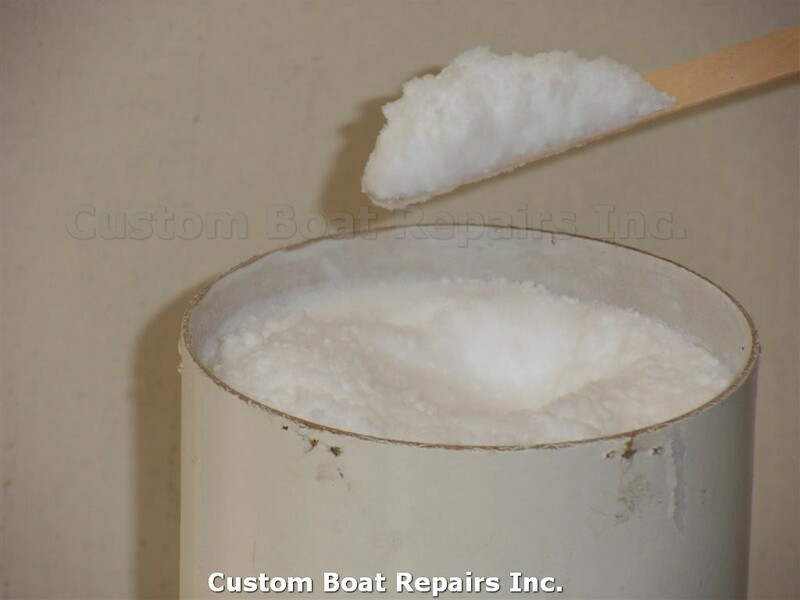 If it does get too thick however, you can add a little more liquid gel coat to thin it out.